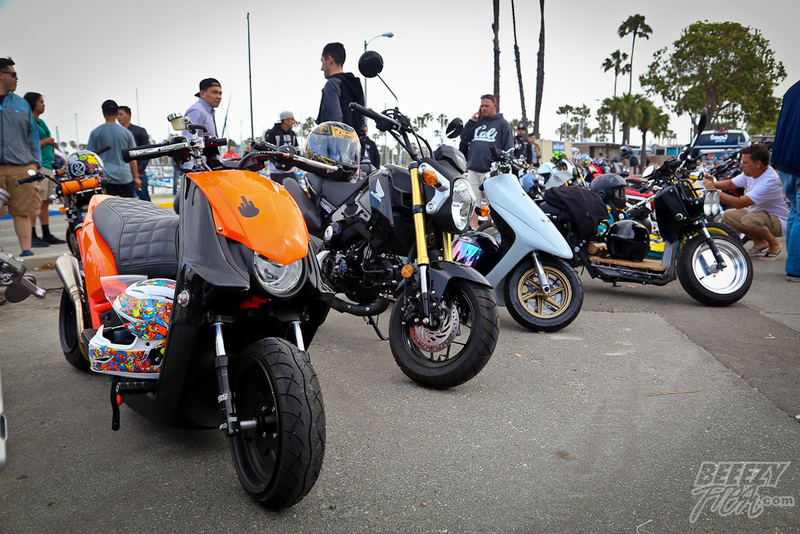 This past Sunday (May 1, 2016) was the annual Total Ruckus Killer Scooter Super Sunday Meet and Ride in Southern California. 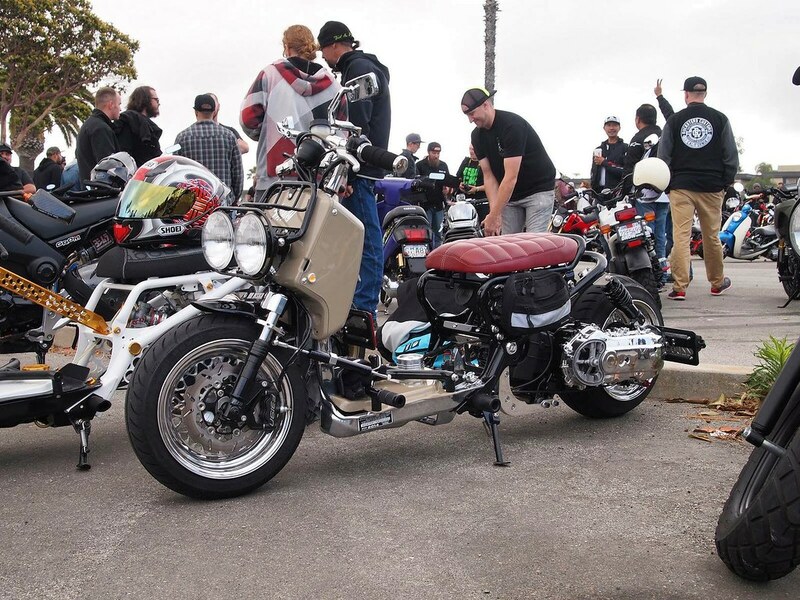 Unlike last year where I attended as a spectator, this year, my current Ruckus was ready and I was able to attend and go on the actual ride…well, most of it at least. One of the guys who I rode with this year had work and was also having issues with his Ruckus barely being able to go 30mph. 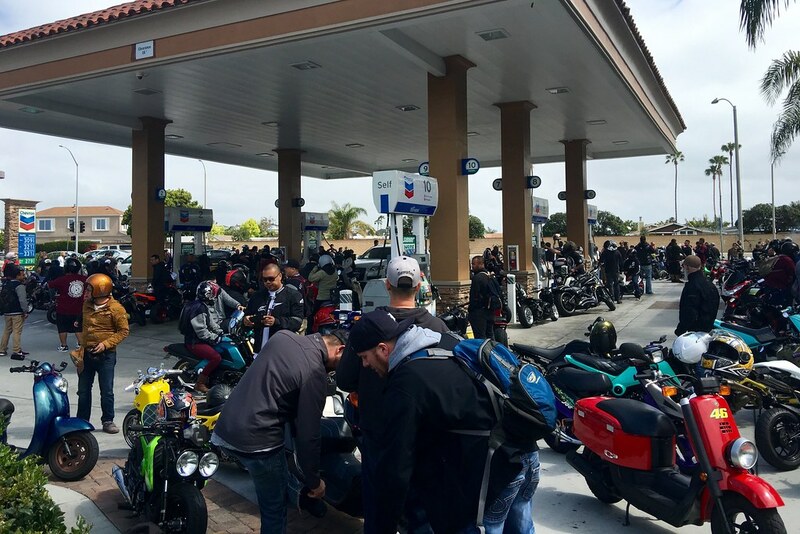 So after the first gas stop of the ride, we decided to turn around and head back. 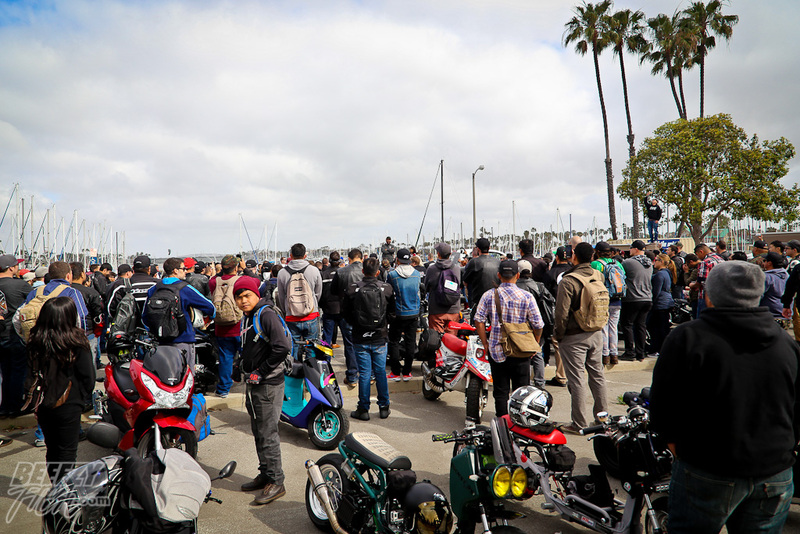 However, considering I rode all the way from my house in Pomona, CA to the meet up spot in Long Beach and then the first portion of the ride, I think overrall, I got my ride’s worth for Super Sunday. My body was aching by the time I got home so I can only imagine how I would have felt if I had done the whole ride to Pechanga and back. 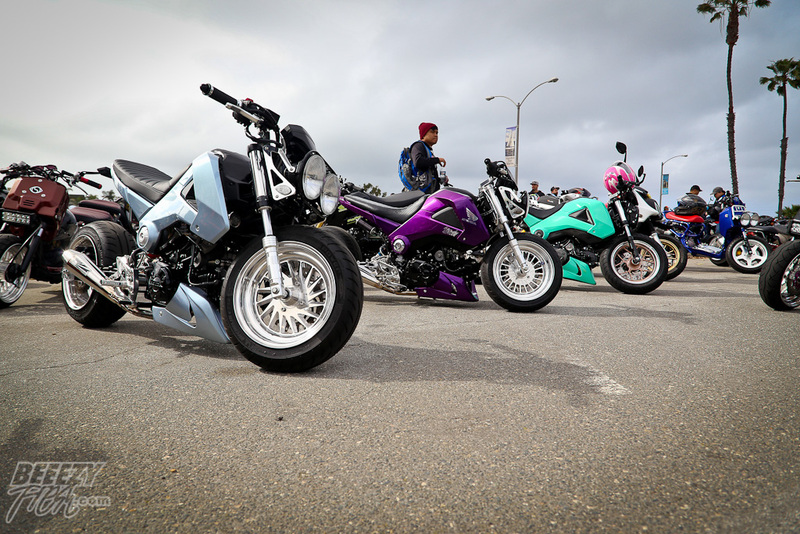 Maybe next year, we’ll truck the bikes to the first meet up spot and do the whole ride. Who knows, but I’m definitely looking forward to next year. 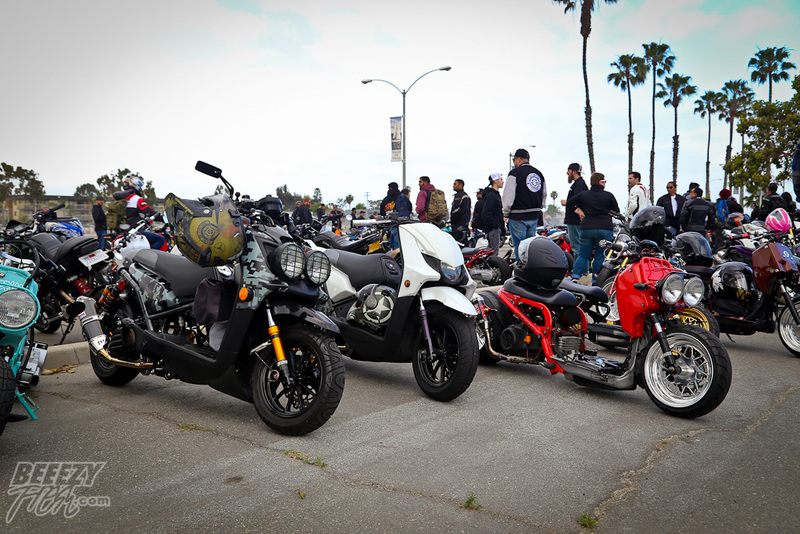 Hopefully next year, I’ll have the Ruckus ready to go a week before the event so I can join in the Super Sunday pre-parties that they normally have at Steady Garage, Drowsports, and Rucksters. 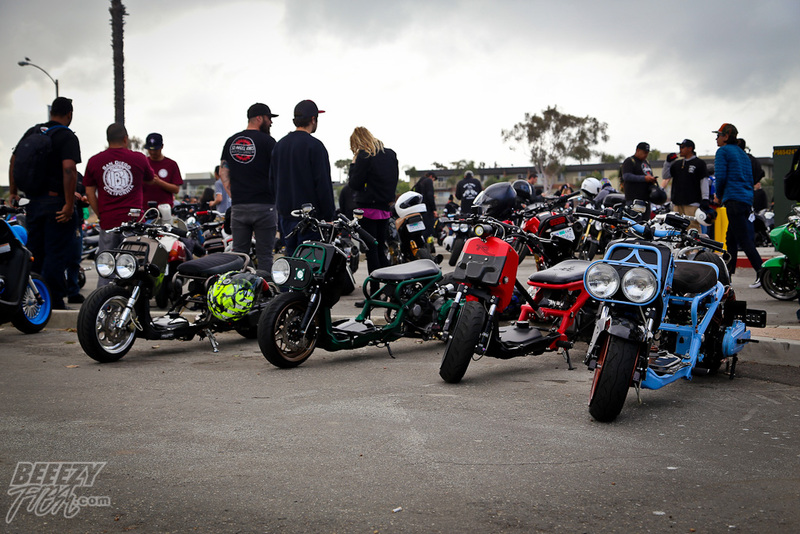 One thing I learned this year is that the day of the ride is such a rush, you really don’t get to stop, check out the bikes and talk/meet fellow owners. I hope to make it a point to chill and meet more people next year. 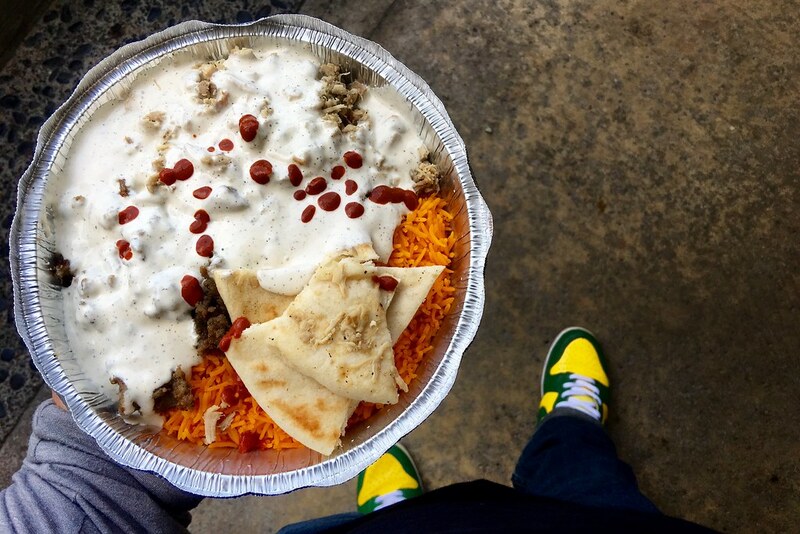 First meet up spot at Drowsports. 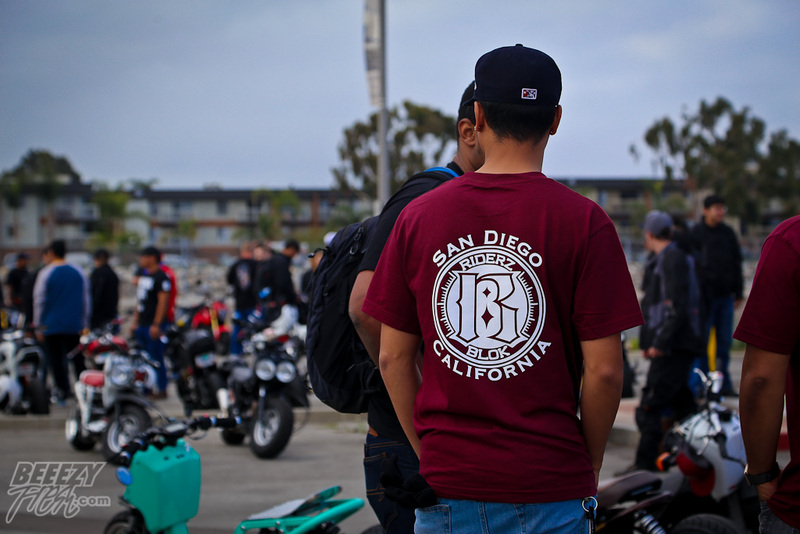 Riderz Blok and San Diego came out in full force. 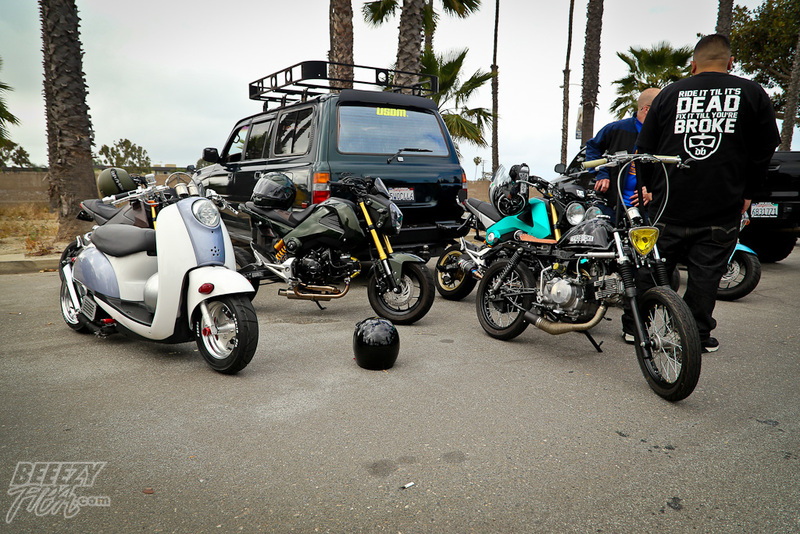 A few of the guys from OC Ruckin. 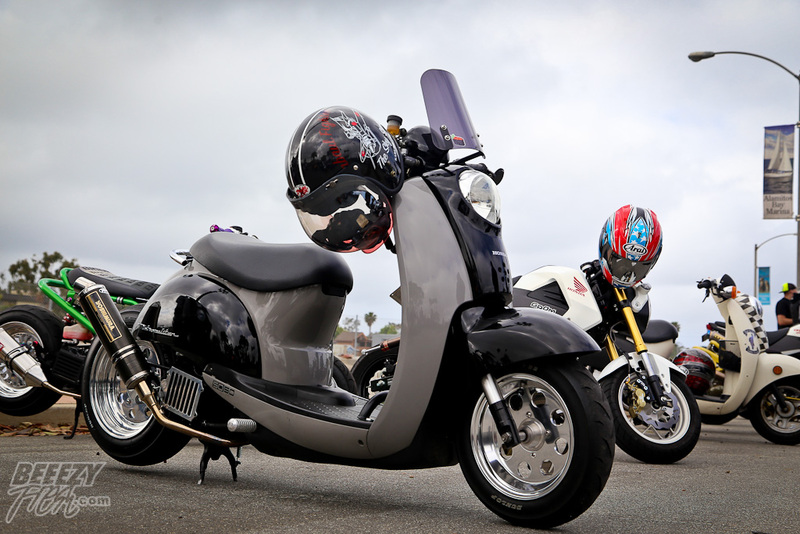 I still have to come out to one of their Tuesday night rides. I LOVE these Work Equip style wheels that FLP Parts did for Sherbo’s “Gangrene”. 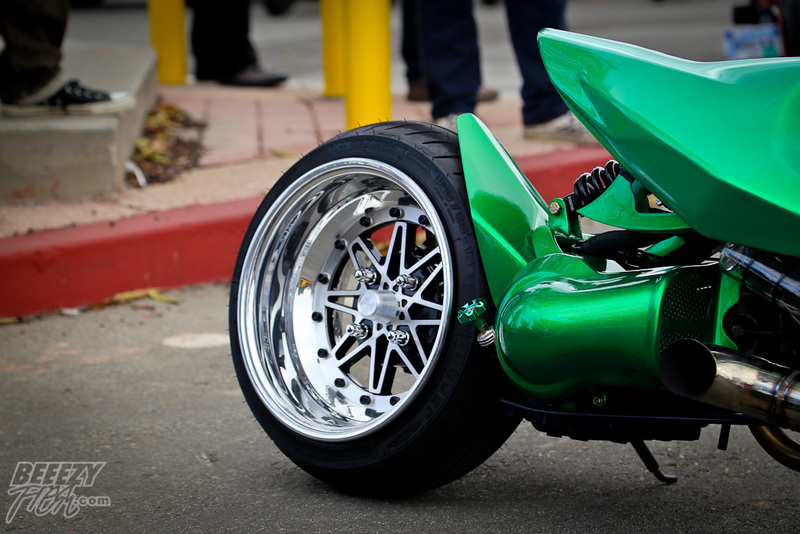 Hands down, my favorite new wheel that I saw. 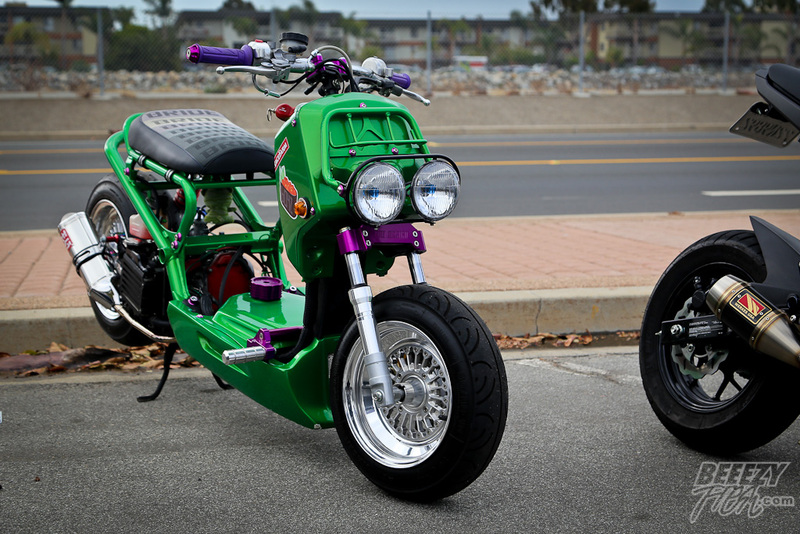 I wouldn’t mind running a set of my own on my Ruckus. 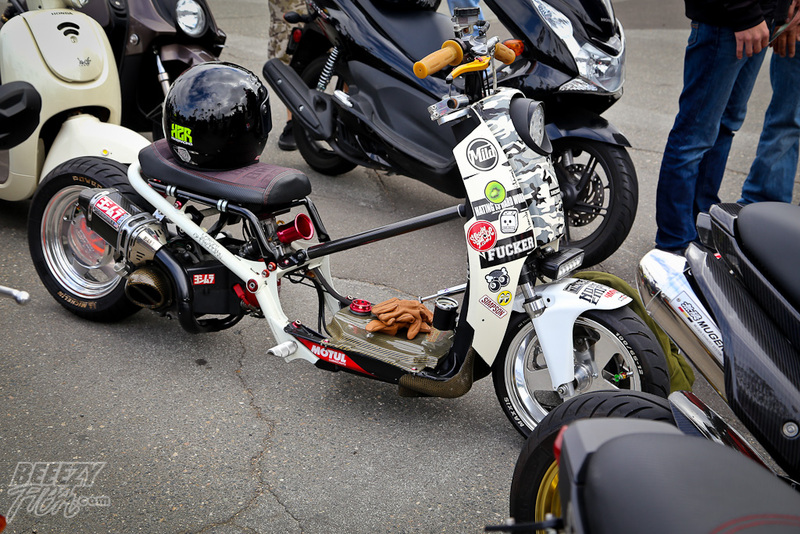 Some of the guys from Rucksters Customs. It was difficult to catch the true color of that orange on the Zuma but it was so nice in person. Hannah from Steady Garage showing the boys she doesn’t mess around. Cue the Adam West Batman theme song. 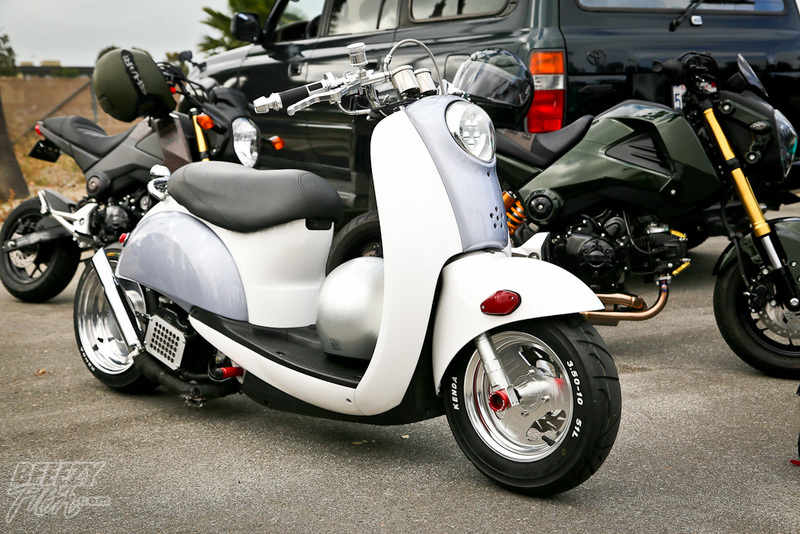 “Ride it till it’s DEAD, Fix it till you’re BROKE. DEAD BROKE CREW. @toaneazzy’s classy Met build. Love this. If I were to build a Met, it would definitely be along these lines. Wish I had a chance to meet up, sir. Maybe next year! 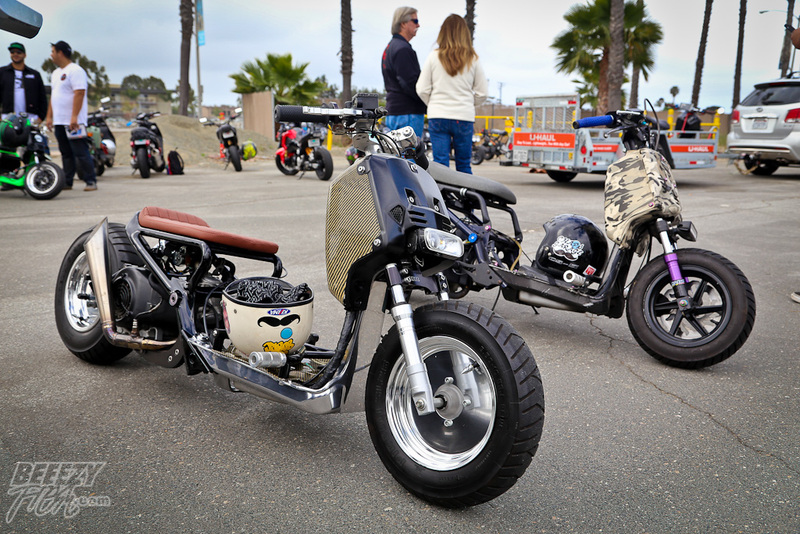 Mr. Chaps brought out his Zuma125 swapped Ruckus with the new seat and seat pan done by the fellas at Steady Garage. Looking good, ol’ Chap! 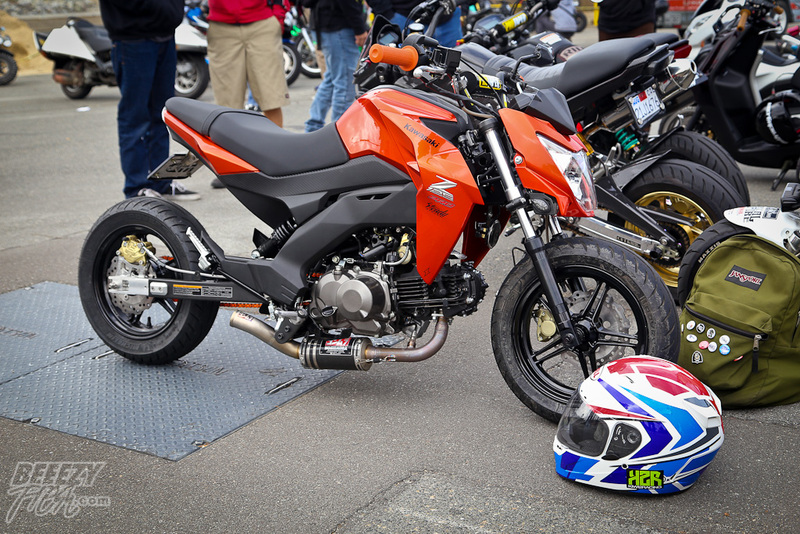 The folks at Steady Garage surprised a few people by bringing out a yet to be released Kawasaki Z125pro already outfitted with some one-off parts. 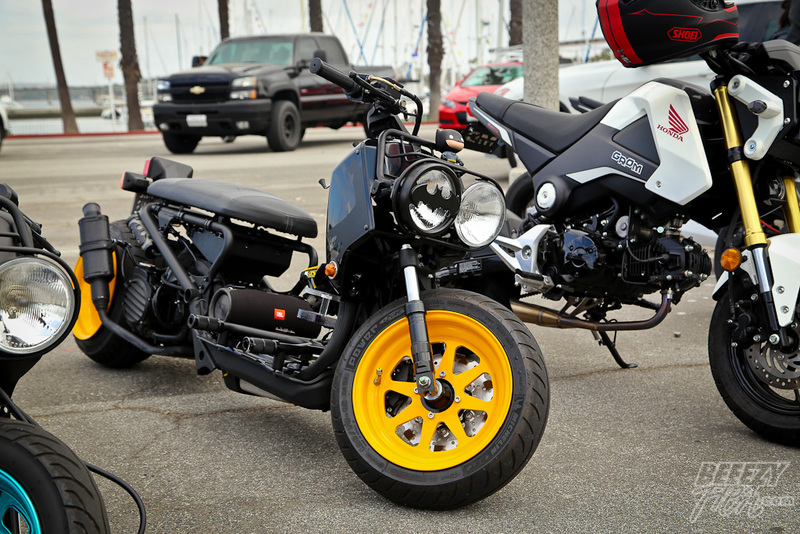 It’s going to be interesting to see how this stacks up to the Honda Grom once it’s officially out. 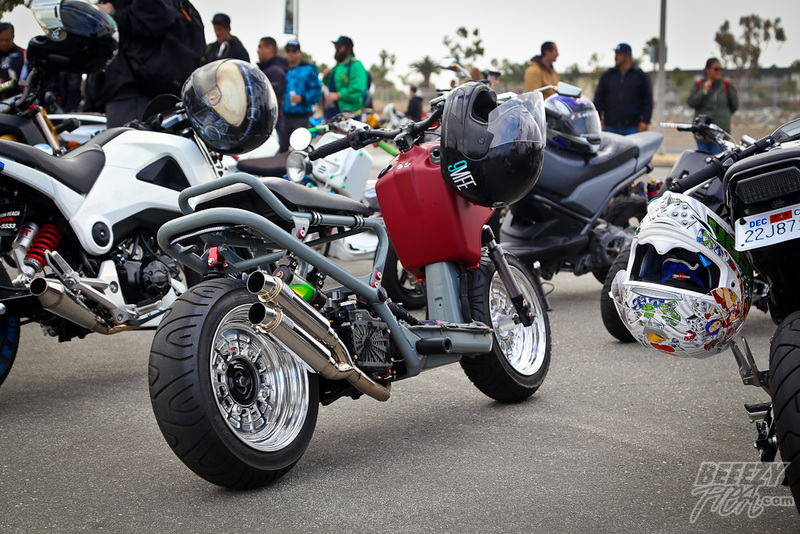 Speaking of Groms, a trio of nice ones that always had constant foot traffic around it. The famous (or infamous to some), @conelite. 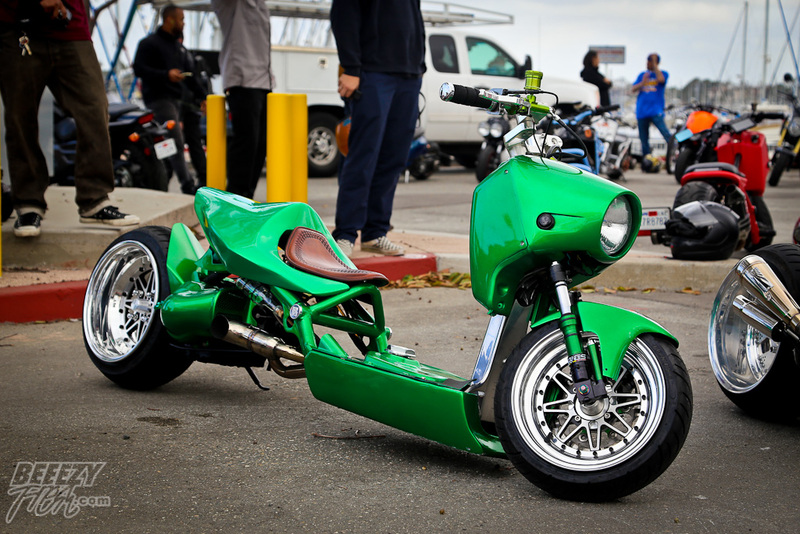 Incredible Hulk inspired (I believe that’s the inspiration) Ruckus with many JDM goodies on it and a BB GET. 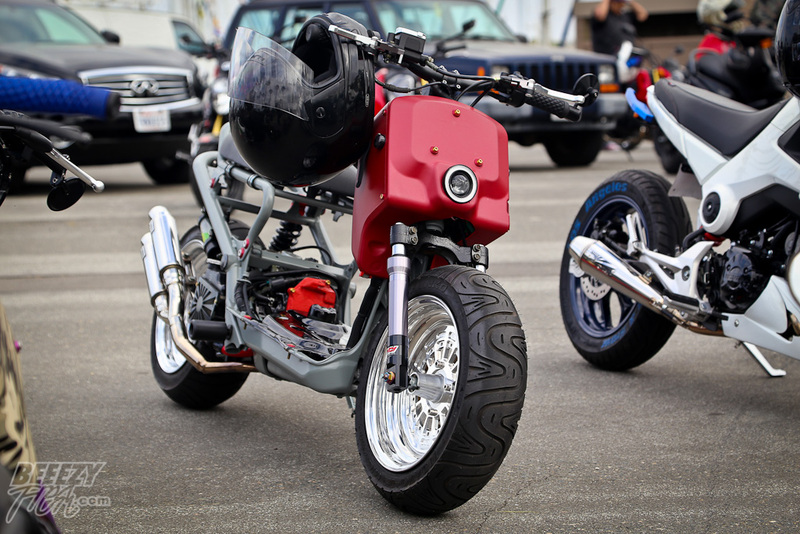 Fast and looks good, how it should be done. 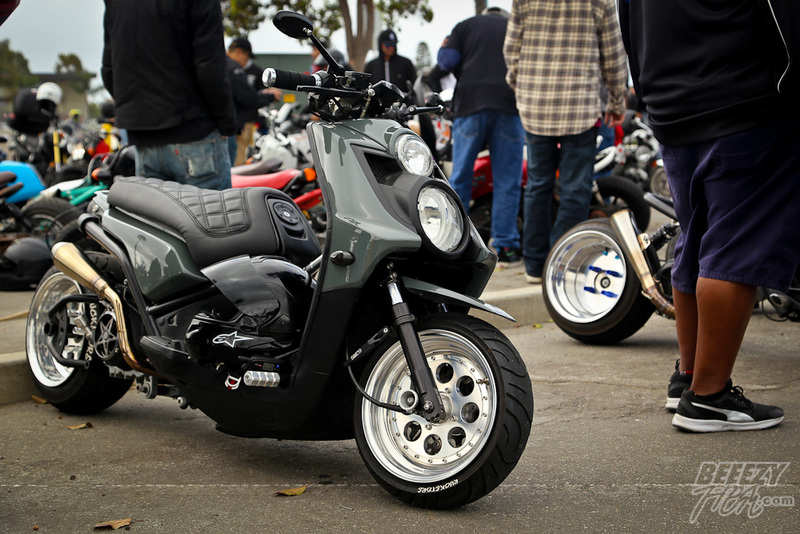 The only shot of my Ruckus, Zooey. I didn’t even take this shot. I was so caught up in the day, I completely forgot to take a picture of my own bike and my friends’ bikes. 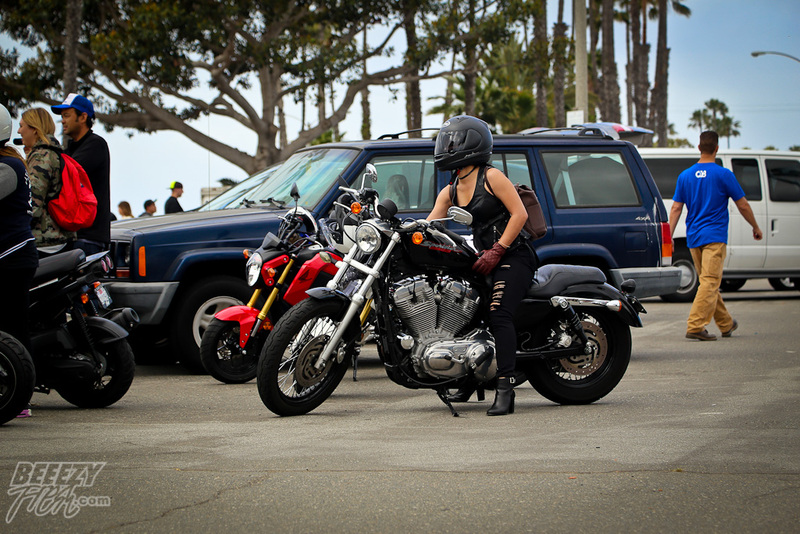 Now I owe them photoshoots lol Thanks to Serge from TR for the shot. 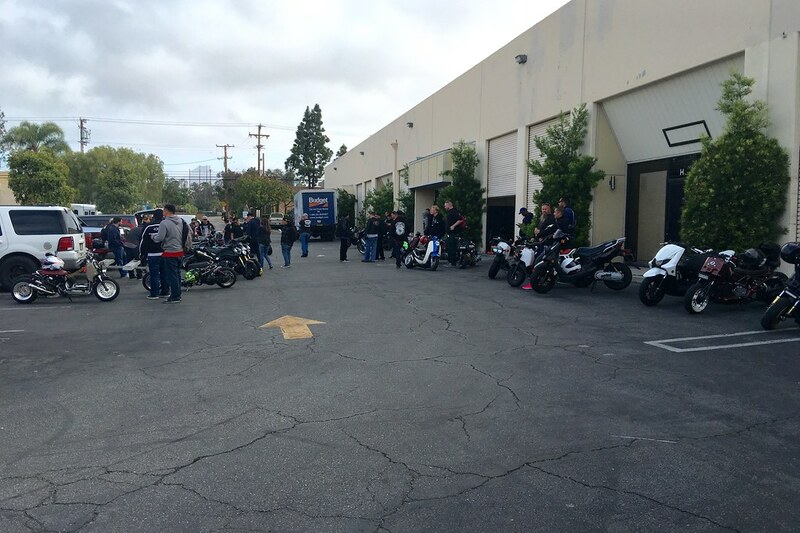 Rider’s meet with Steve (@killerscooter). Thank you for setting everything up again, Steve! See you at Super Sunday 2017! !